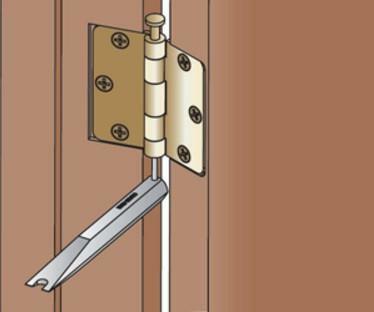 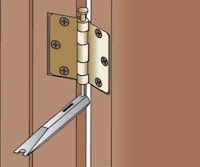 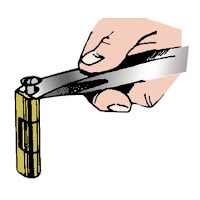 Crain's Door Pin Remover removes door pins faster, without damage. The forked end of the tool fits snugly around the head of the pin and equal pressure is applied to both sides. 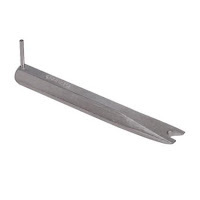 The tapered edge is also great for removing tackless.